THE Taoiseach has claimed controversy over his soon-to-be scrapped PR unit was “inevitable” and new ideas always generate “political paranoia” and “conspiracy theories”. He also said one of the things he regrets most about the furore over the Strategic Communications Unit (SCU) is that its civil service staff were dragged into a political row. The SCU is to be wound down by July and its staff redeployed elsewhere in the civil service following a review of its work in the wake a hail of opposition criticism. There were claims that SCU staff were being used to promote Fine Gael and questions were raised about how it publicised the government’s Project Ireland 2040 plan in newspaper advertorials. Mr Varadkar was grilled about the issue at the Oireachtas Finance Committee. He said its €5m budget is being reduced to €2.5m with €300,000 of that being used for the wind-down of the SCU. A total of €2.2m of the reduced budget has either already been spent on the unit’s campaigns or is cash that it has already committed to spending. A spokesman said the remaining €300,000 is to cover “running costs” for the unit up to July for expenditure that may arise and any sum that’s not used will be returned to the exchequer. Fianna Fáil TD Michael McGrath asked Mr Varadkar what lessons can be drawn from the SCU controversy. He said there was a similar debate when the former Fianna Fáil led-government brought in the MerrionStreet.ie government news service only “the shoe was on the other foot”. He said it was perhaps members of Fine Gael who had been raising the kinds of issues Fianna Fáil has been highlighting in recent weeks. Mr McGrath accused the Taoiseach of not acknowledging that the SCU “did cross the line” or that the issues involved could have been “handled much better”. 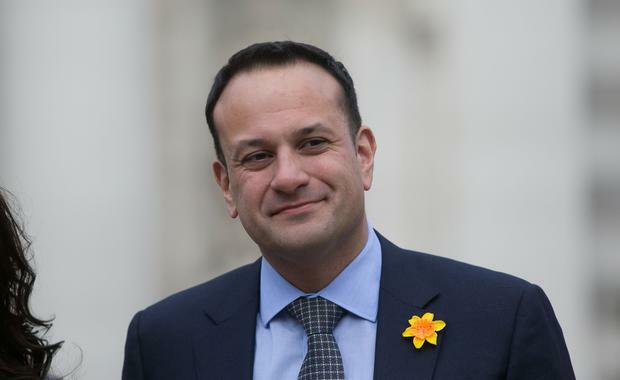 Mr Varadkar said that there perhaps should been greater controls on editorial content in place earlier, including a requirement that the SCU would sign off on newspaper advertorials before they were published. But he said he doesn’t believe the SCU crossed the line into politics. Earlier he had said the allegation that the SCU’s staff were doing political work or favouring one political party “was never true”, was not backed up by evidence, and was “very unfair on them”. Mr Varadkar said: “We’re people who are involved in politics. We sign up for this to a certain extent we sign our families and friends up for it. “But these are civil servants, public servants and they shouldn’t have to go home to their kids to answer questions as to whether daddy or mummy has done something wrong. “And that’s the position they were put in by some of the very personalised, very unfair commentary that was made against public servants and civil servants working in the unit,” he said.